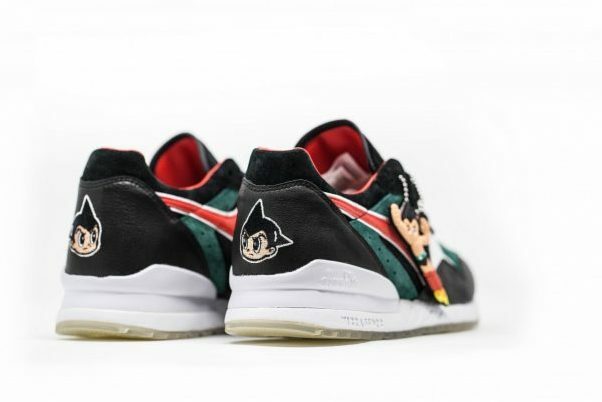 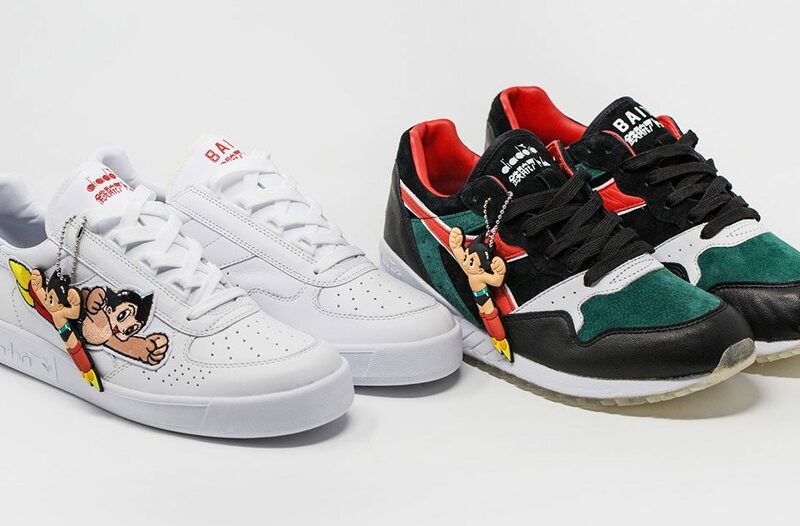 BAIT and Astro Boy get together for a global release of their collaborative project featuring the iconic Diadora Intrepid and B.Elite. 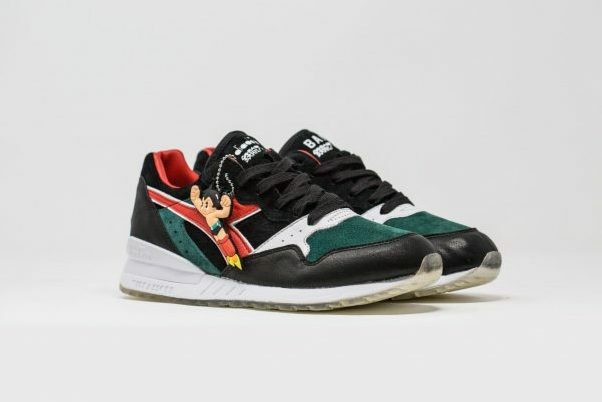 The Intrepid is inspired by Astro Boy’s key colors, highlighted with a combination of premium leather and wolverine silk suede. 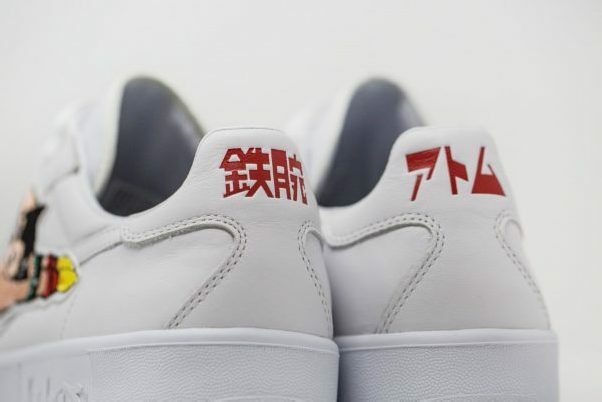 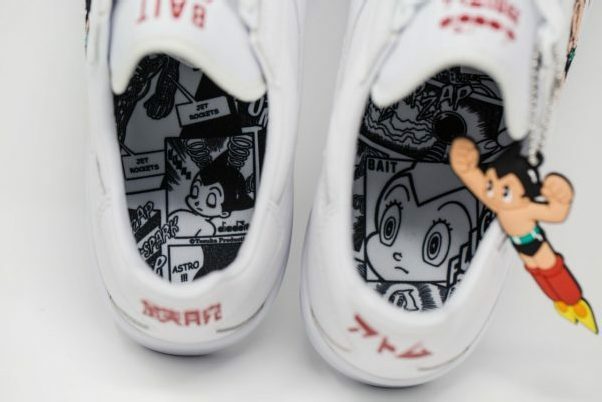 Astro Boy is embroidered on the heel while the original Tetsuwan Atom Logo co-brands the tongue. 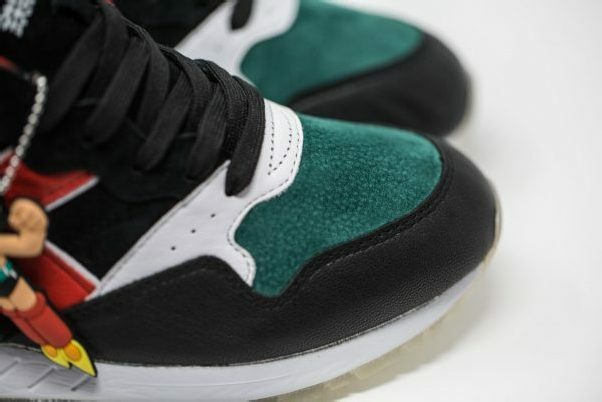 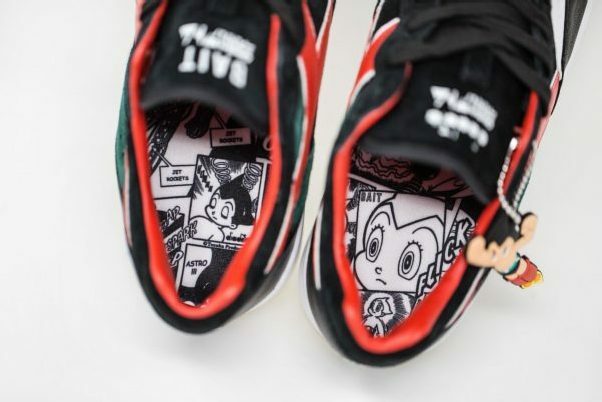 An all iced outsole reveals more Astro Boy artwork on the shoe. 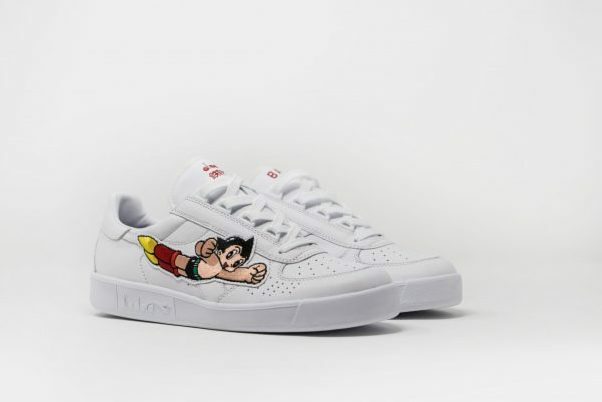 The B.Elite is an all white, premium leather design, featuring different Astro Boy embroideries, flying across the lateral on each side. 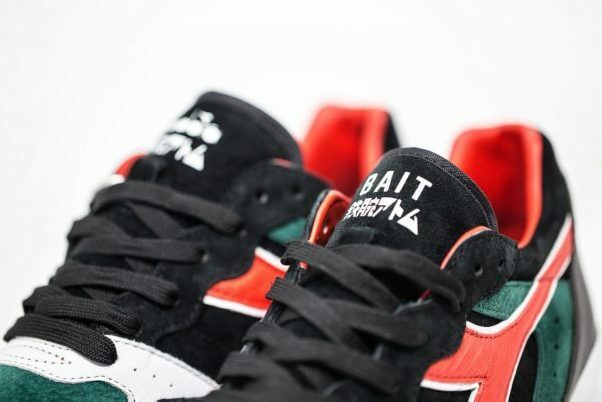 The Heel and tongue are debossed with the original Tetsuwan Atom logo alongside co-branding with BAIT and Diadora. 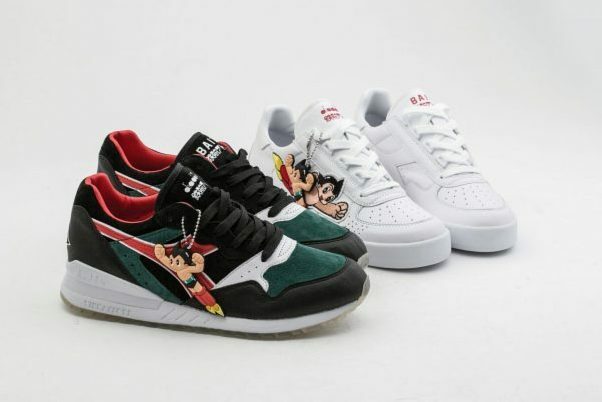 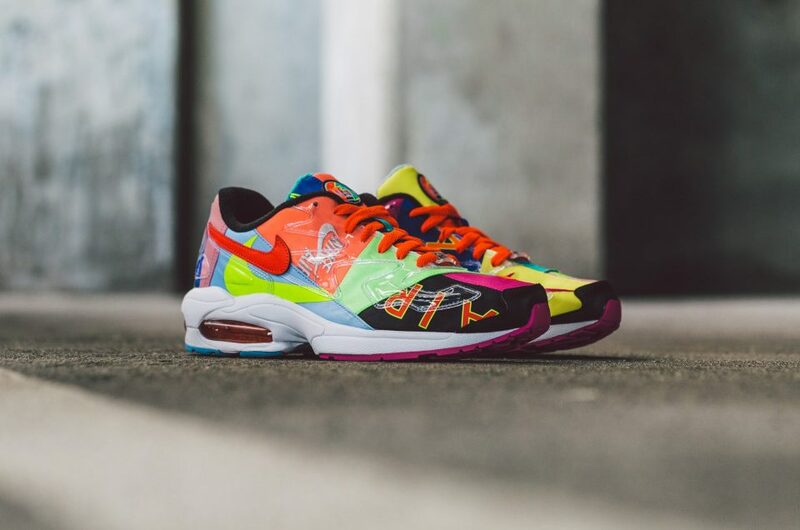 Both pairs include an Astro Boy manga insole and an exclusive keychain. 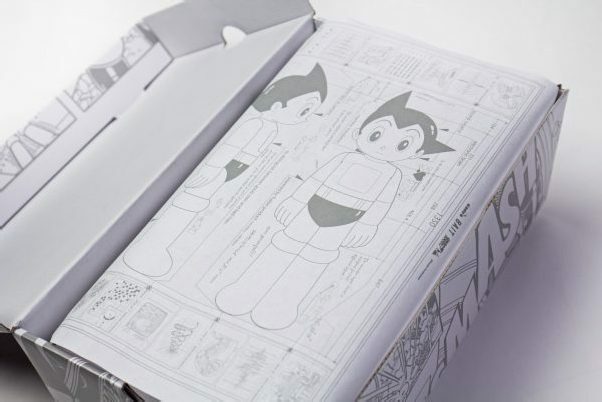 Each box also features the Astro Boy manga with “blue print” tissue of his mechanics. 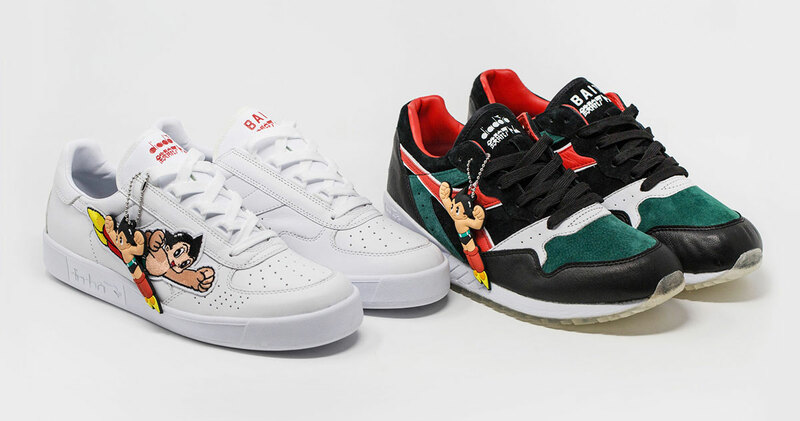 The BAIT x Astro Boy collaboration also features Diadora’s classic track jacket that matches with either pair. 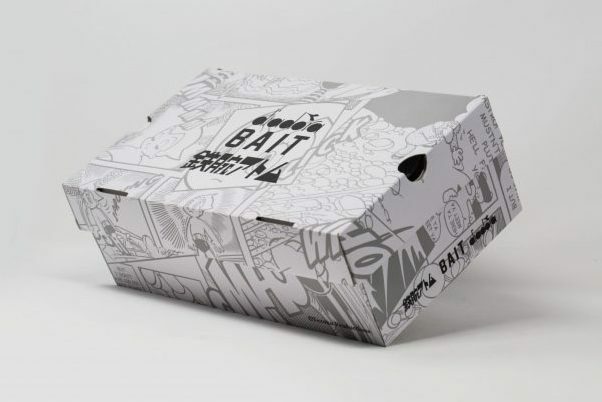 Extending the capsule, BAIT designed special T-shirts, hats, socks, and accessories as well. 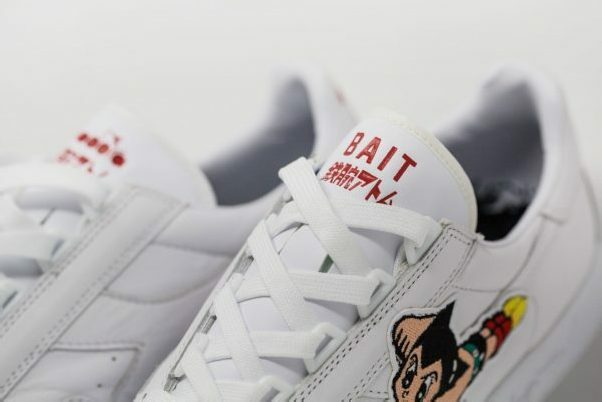 The initial drop starts with BAIT at all chapter stores and online via raffle on November 22nd. 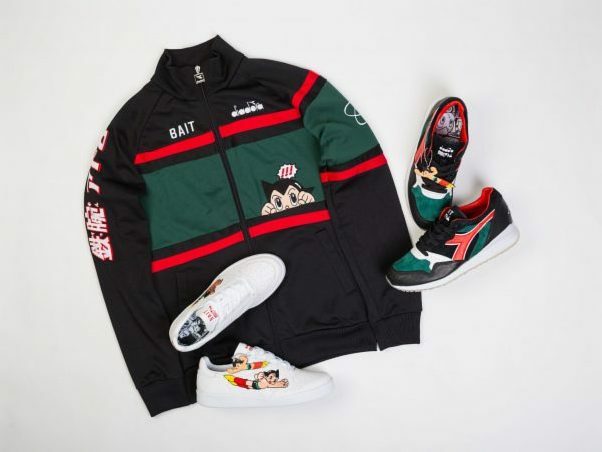 The Intrepid retails for $170, while the B.Elite for $140, the jacket is $100.